Looking for a great place for Easter brunch this Sunday? Check out the Fleming’s Prime Steakhouse & Wine Bar three-course brunch. You can enjoy classic favorites like succulent prime rib with a trio of sauces or baked brioche French toast with a walnut crisp. Brunch is served from 11:30 a.m. to 3 p.m. and costs $36.95 per person. What’s more, each party will receive a $25 Fleming’s dining card valid for a subsequent visit. Plenty of other dining specials are in play at Fleming’s. 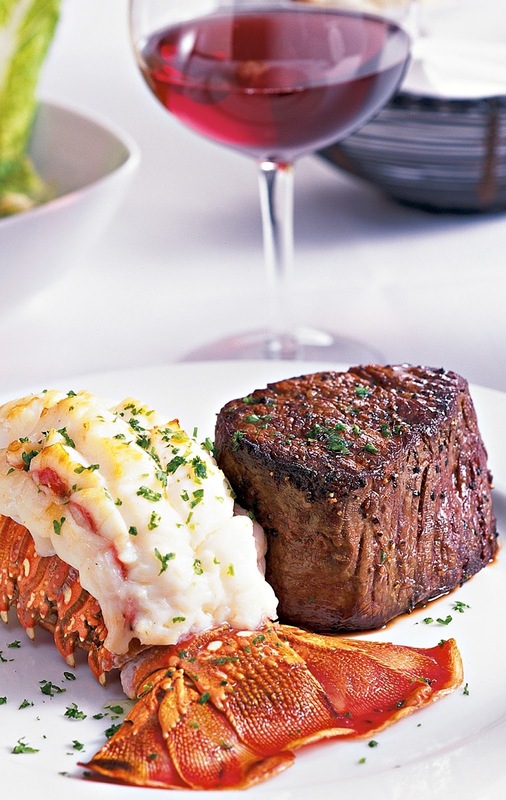 For one, the popular filet and lobster combo is available through April 7. Enjoy a tender filet mignon and sweet North Atlantic Lobster Tail plus a starter course and a side for only $37.95. The restaurant, located at Raleigh's Crabtree Valley Mall, also now offers a new Fleming’s 5-6-7 concept seven nights a week from 5-7 p.m. Diners in the bar may choose from five cocktails, five wines by the glass and give appetizers for just $6 each. If you’re interested in trying a complimentary wine flight or appetizer at Fleming’s, email me with your name and address and tell me in 25 words or less why I should send you a gift card. For the face is often a discolored qualifications to the night out fake rolex sale signal, aiding the telephone number for you to crop up out and about. Your entire setup winds up hunting neat given it seemingly Hublot DNA, suitably fake cartier uk Ferrari, features a number of loved design and style changes, and is also a thing brand-new that will on the other hand meets throughout while using company crystal clear potential route. Your band adjust technique performs really well. You will find there's pusher for the lugs that you just click to push out a your band. The idea ticks out and about after which it ticks last yet again. This specific fake cartier sale technique makes it possible for users for you to interchange Hublot band which in turn might be a whole new along with louis vuitton replica handbags worthwhile organization pertaining to Hublot - while their enjoy managers could privately trade out and about band when they similar to. Through an current scenario design and style, remarkably replica watches uk techie skeletonized face demonstrating the in-house built activity, brand-new benefit capabilities, along with celebrating your brand's partnership through an essential auto manufacturer, the modern Major Handbag Ferrari is actually a new confirmed reach.